In 2009, DEMPAGIRL was formed by unique MCs who appeared on internet video website. The group went through several member changes and finally settled down to the formation of MC Hashishi and button pressor nicecream. Hashishi’s honest lyric is filled with reality and his catchy melody is so addictive you can’t shake it off from your ears and nicecream’s dance performance is gorgeous and altogether creates uniqueness at their live shows. In 2010, free downloads “Haiban” released. Over 2000 downloads. 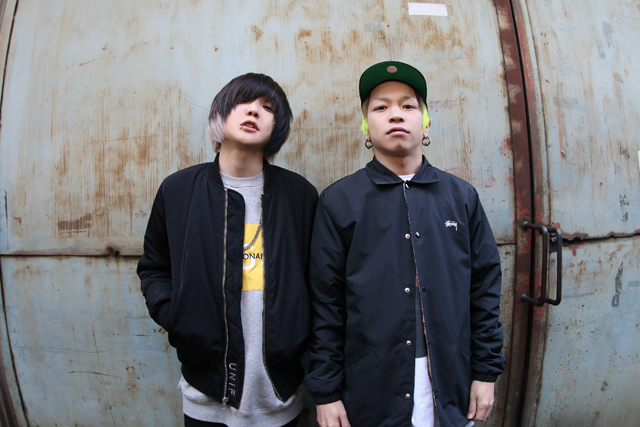 In July 2013, first album “BIOS” released. On the first day , they sold 1000 copies and total of 2500 copies were sold . Now out of print. On July 8th second album “WHO” was released. It Ranked second in Tower Records Online Preorder chart. And it ranked 19th in Oricon Chart. On February 27th They had a solo show at Shibuya WWW. It was a sold out show and proved a big success. On May 11th Their latest EP “Paranoia” came our. It ranked 10th in Oricon Chart and first in iTunes Hip Hop/ Rap chart. On May 22nd , They threw a release party at Shibuya Asia. It was again a sold out show and proved a big success. Their videos on the internet has been viewed more than a million times total . They are the hip hop crew to watch out now.